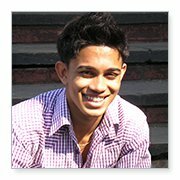 Zulfiqur Ali - Recipient - The Eye-Bank for Sight Restoration, Inc. In the spring of 2012, teenager Zulfiqur Ali was resigned to the fact that for him, there would be no summer fun. Instead, he would be undergoing cornea transplant surgery to save the sight in his left eye. It was a year earlier that the 15-year old had a suffered a bacterial eye infection apparently caused by misuse of contact lenses. After continuous visits to the hospital, the pain and swelling he had endured eventually subsided, but a scar had formed on his cornea, impairing vision in his left eye and causing extreme sensitivity to light. Zulfiqur’s appearance was also affected. As a young man, he was devastated and found it difficult to focus on his school work. He had played on the school’s handball team and had even been approached by an agency to model, but now with diminished eyesight, his life had changed drastically. To his credit, Zulfiqur managed to pass his exams although he could no longer engage in activities he enjoyed. During the course of his hospital visits, Zulfiqur received some news that gave him hope. His doctor informed him that after his eye was healed from the infection, which would take several months, a cornea transplant might restore sight to his left eye. In the spring of 2012, Zulfiqur began consultations with Richard Najac, M.D., ophthalmologist and corneal transplant surgeon. When Dr. Najac scheduled a cornea transplant for July, the teen knew then what the main event of his summer would be. He was apprehensive about the surgery and in addition to his doctor’s counseling and guidance, was able to use the Internet and YouTube to learn more about his upcoming procedure and the recovery process. His family was very supportive and his friends at school also encouraged him. Zulfiqur’s surgery took place at the New York Eye and Ear infirmary with donor cornea tissue provided by The Eye-Bank for Sight Restoration. His eyesight has steadily improved since the surgery and his looks are appearing normal again. Zulfiqur is truly thankful to his cornea donor and the family and realizes this gift of sight will help him accomplish his future goal of completing a college degree in computer science. He feels he has been given a new start and says he appreciates life so much more.